Speculators in gold price futures are short 670 tonnes – the biggest bearish position in 25 years. First things first: I want to thank the many readers who have expressed their interest in an article about my views and theories on gold and silver. In fact, the response has been so strong that I decided to cover precious metals (PMs) more broadly on WOLF STREET, but only in an unbiased and analytical way, if that is even possible. “Gold” is subject to so much debate – and this debate is influenced by hefty agendas on all sides – that coverage attempting to stay out of this debate is going to require some stepping on toes. 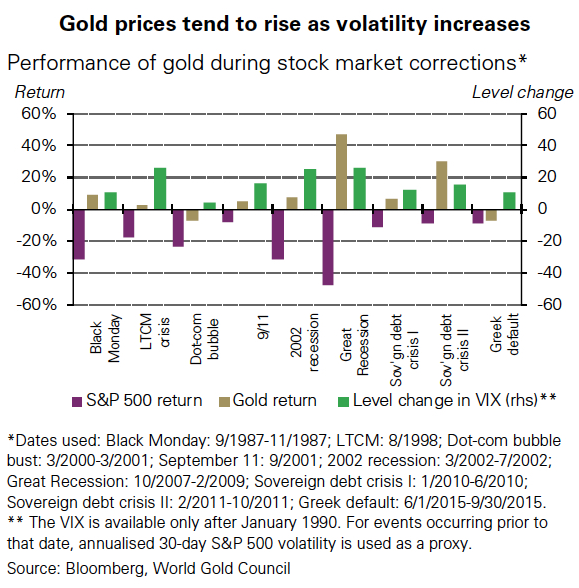 We will attempt to focus on the physical metals and their derivatives (i.e., “paper gold”). But we will stay out of the debate as to whether “only gold is money,” whether the dollar, or any currency, should be backed by gold, and the like. Yes, gold and silver markets are manipulated, up and down, but just about all markets are manipulated, and in terms of the most manipulated markets of all, gold and silver probably don’t even rank near the top. That honor would likely go to cryptos. And in terms of magnitude, the top contenders for the most manipulated markets of all are the credit markets, including the government bond market, and the corporate bond market. Central banks manipulate credit markets explicitly and not in secret with the full power of their monetary-policy tools, such as “forward guidance,” interest rates, and QE. No other market has manipulators lined up that openly and publicly use trillions of dollars, euros, and yuan, and quadrillions of yen, to accomplish their goals – and are being hailed for it. Our coverage of PMs will be neither perma-bullish nor perma-bearish, and neither gold bugs nor gold haters will be happy. Today, we will kick this off with some insights into the short positions in the gold derivatives market, and what this might mean for the price of gold near-term. Gold has had a rough time so far this year, down about 9.8% year-to-date. But today, gold jumped 1.5%, from a 20-month low, to $1,212.20 at the moment – instant reaction to Fed Chairman Jerome Powell’s speech this morning, or just a relief rally, or result of the record short-positions that have been built up? Nowhere is the negative sentiment more evident than on derivatives markets where investors and speculators seemed to have lost all confidence in gold’s ability to move higher. According to the CFTC’s weekly Commitment of Traders data up to August 14, investors (non-commercial traders) are now short 215,467 lots, the equivalent of 670 metric tonnes. 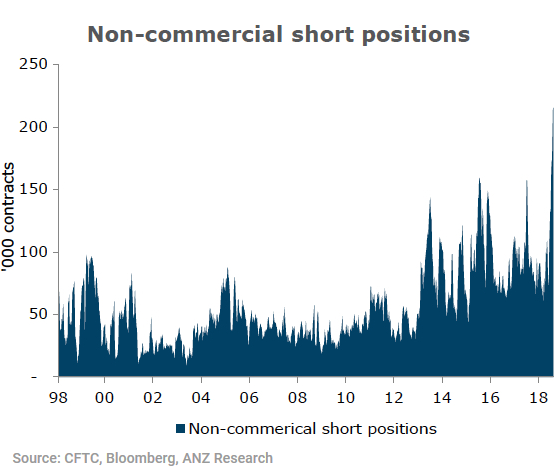 It’s also the first time since 2001 that investors have entered a net short position (gross shorts exceeding gross longs). 1999, short positions rose five-fold to hit a then record level of 80,000 contracts. Not long after, gold prices rallied 16% from USD250/oz to USD290/oz over the course of two months. Short positions spiked again in July 2005 and January 2016, with gold prices rallying 12 percent and 14 percent respectively over the subsequent three months. In both these cases, the net long position was extremely close to being negative. This raises the specter of investors closing out their record level of short positions, and thus starting a short covering rally. As the author in the above quoted segment from Safehaven.com indicated, massive short positions by speculators — not producers that are hedging their production — can put a temporary floor under the price of an asset and provide upside fuel. This is because shorts have to buy to cover (close out) their positions. When prices are falling, they buy to take profits. And they buy when they’re scared of getting their faces ripped off when prices are rising (“short-squeeze”). We also see this effect in the shares of Tesla and in the Treasury 10-year yield, both among the most obvious short-candidates with record short positions already established against them. Shorting is very risky, with an out-of-whack risk-reward relationship. So shorts are a nervous bunch — and they’re furious buyers during a short squeeze (prices rise), thus pushing prices up further. And their profit-taking can stop a crash. Very large short positions that have already been established put a floor under the asset price and provide temporary firepower on the upside – the emphasis being on “temporary.” So for traders focused on the near-term, it’s probably not a good idea to get too bearish when there is already so much bearish sentiment out there.